Smile Power Day? That’s right, you heard correctly – and at our office, it’s one of our favorite holidays. 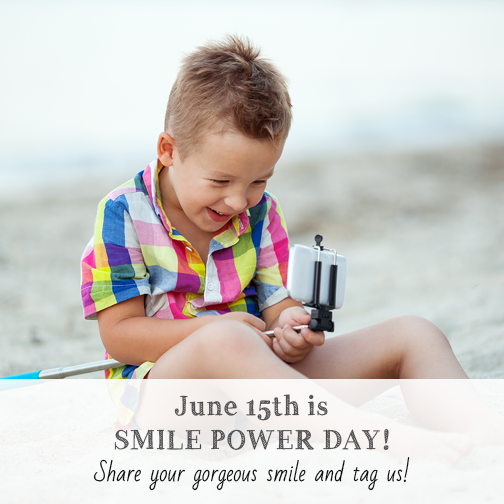 June 15 celebrates smiles and the ability they have to generate happiness, strength, wealth, and well… more smiles! What can you do to celebrate? Be more conscious about your smile. Are you smiling when you’re greeting your colleagues, responding to others, or saying thank you for a service? These things we do unconsciously but when partnered with a smile, it’s sure to send positive signals to the other party. Don’t let the bipolar weather put you to a bad mood. Smile the day away and send them to friends and strangers alike – you’re sure to make someone’s day! We’re starting this campaign to S M I L E 🙂 because it’s contagious! Follow up on our staff and patients in our Facebook album dedicated solely to just that as they share their smiles with you in hopes to brighten your day! How to care more for your smile? Let us relay some magnificent tips from our smile team here at Shoreline Dental. There’s no situation we can’t handle. Show off all the work you’ve put into that gorgeous smile and share the love with all those around you. 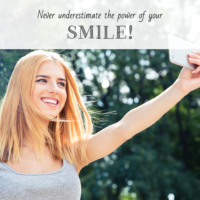 Be sure to share your smile with us below, we’d love to see! Okay 1, 2, 3… cheese!